The CRM Picklist generator has been updated and now supports not only generating labels but also setting values. I dropped 3.0 compatibility, because it was used very rarely. In addition I have added some ready to use examples that might be helpful. Examples provided "as is". Completeness of the information and data provided in the given cases and examples is excluded. If you have suggestions for new lists you'd like to see, leave a comment. After experiencing issues with Update Rollup 2 on several servers we decided to uninstall it and stay with Rollup 1. One bug was that servermessages were encrypted and (almost) unreadable. 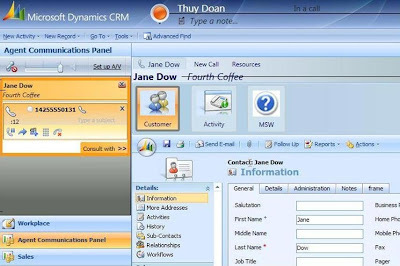 It could be reproduced on several servers using the german version of CRM 4.0. Due to that we opened a Microsoft supportcase. In the meantime a new version of Rollup Update 2 - "V2" has been released. The issues regarding the servermessages are gone. So watch out to get the re-released version when planning to install it! You can tell by filename (contains -V2) and in the setupwindow.